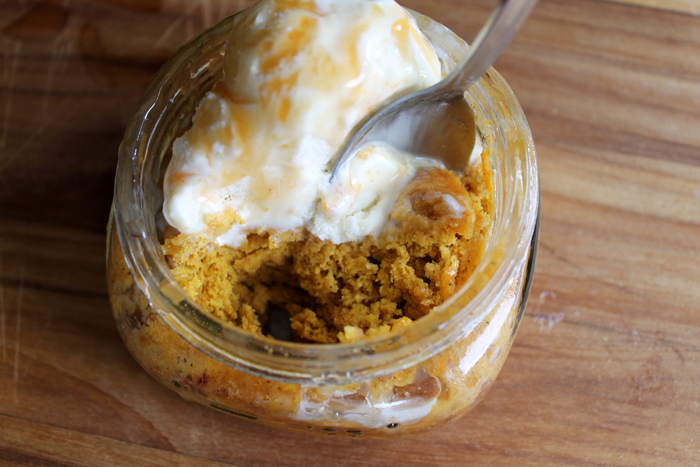 I am continuing fall week in jars with this microwave pumpkin cake in a jar. Make an individual cake with this simple recipe that only takes a few minutes. You can have cute little individual desserts on the table straight out of the microwave any night of the week. If you have missed any of the jar ideas this week, be sure to catch up with day 1, day 2, and day 3. You will also want to scroll to the bottom of this post to see what our blog partners for this series have in store for today. Please note that some links in this post may be affiliate links which means you do not pay anymore but a portion of your purchase will go to support this site. Grease the mason jars well with a non-stick cooking spray. 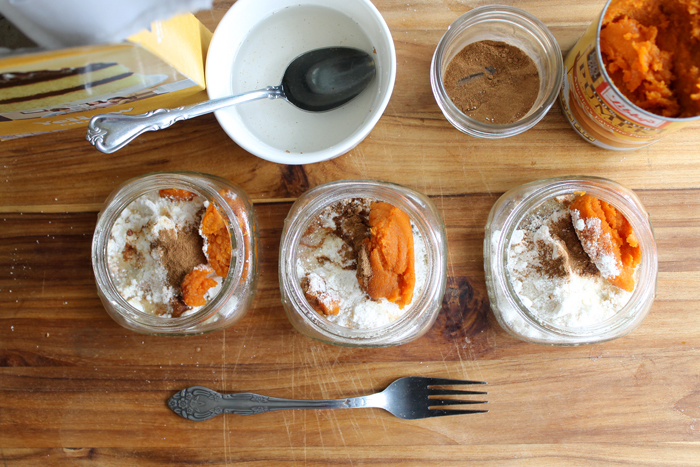 These squat mason jars work perfectly for this recipe. Add all of the above ingredients to the mason jar. Each list of ingredients makes one cake. Cook for 6o seconds in the microwave. Use caution when removing as the jars will be hot. 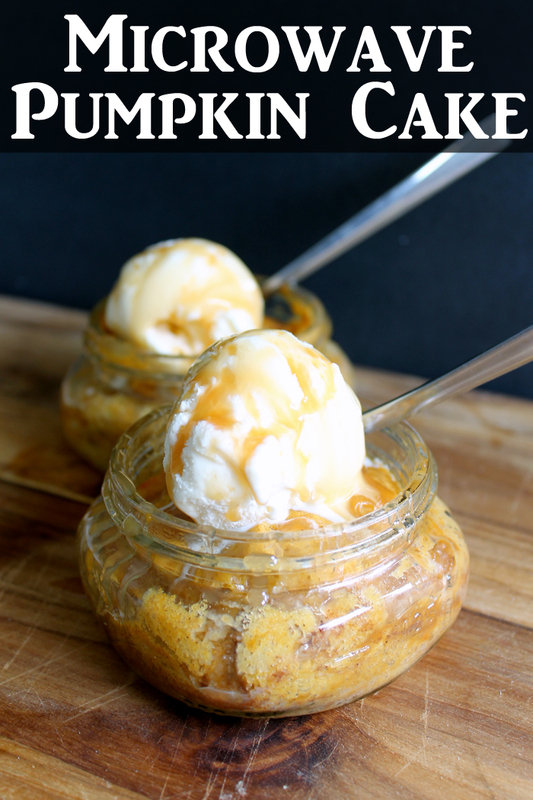 Serve with a dollop of ice cream on top and some caramel ice cream topping. 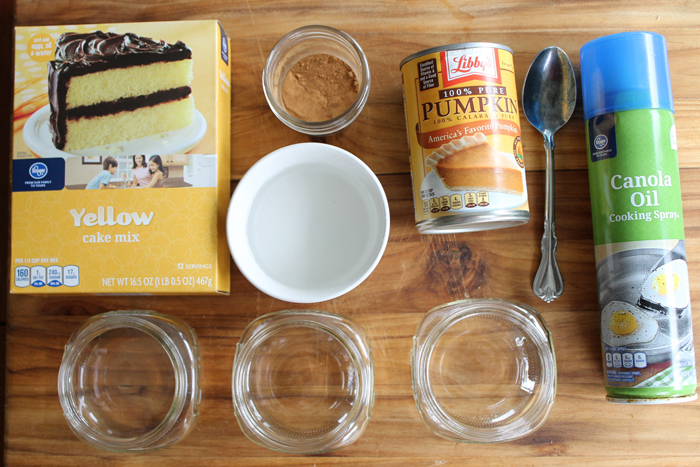 Your entire family will love this microwave pumpkin cake this fall. Dive right into this delectable cake. 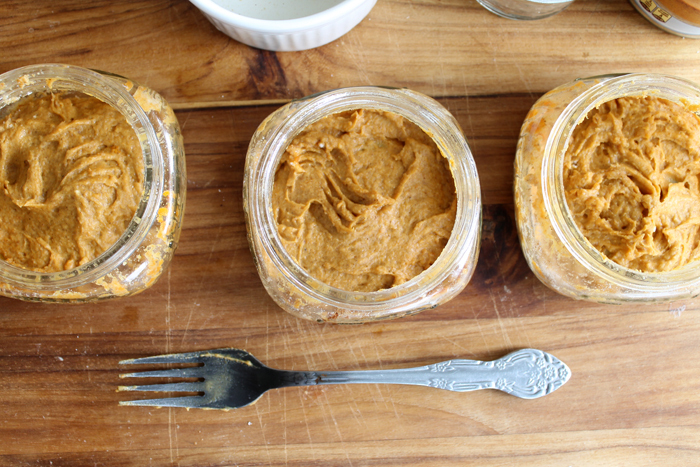 One jar is a great single serving dessert. You might even want two after you try it! This cake is moist, delicious, and just speaks fall! 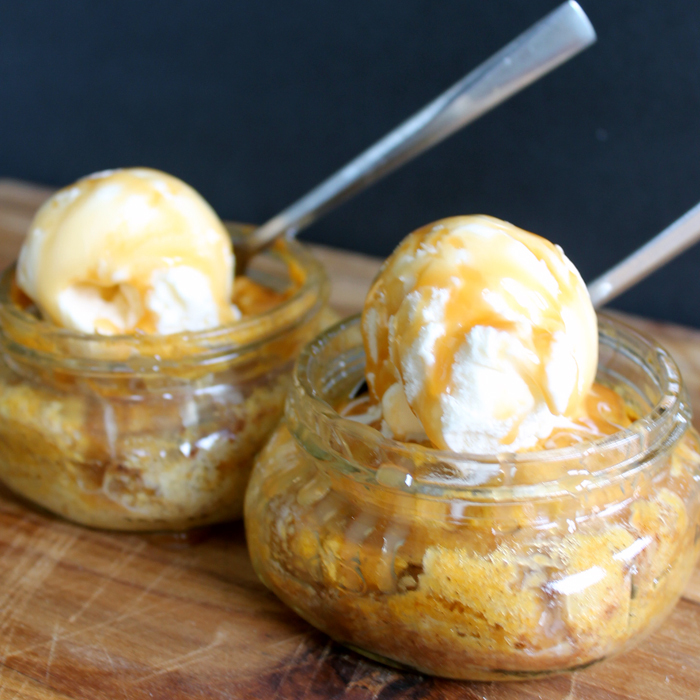 Grab your mason jars and make this microwave pumpkin cake in a jar. No one will ever guess just how easy this dessert is to make and that you don’t have to heat up your kitchen to bake it! I promised you even more fall jar ideas so just click on the links below. My partners for this series have lots of ideas for you this week! 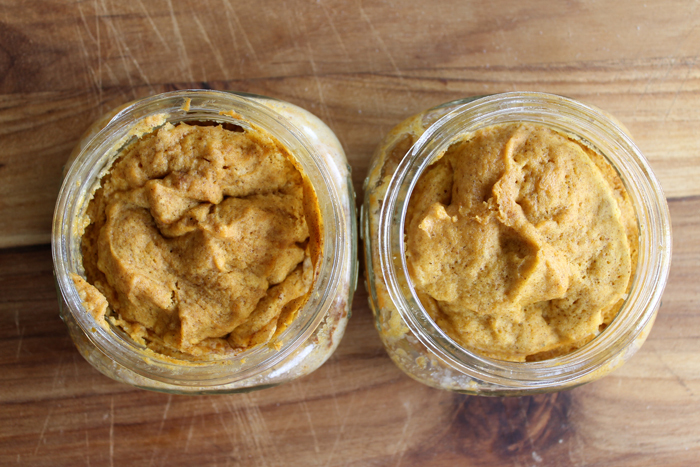 Y’all enjoy all of the fall crafts and recipes in jars! Try a coffee mug Mary! Oh my Angie, you have come up with delicious sounding and looking dessert, mouth is watering. Sure looks good also. Will be trying these little beauties. Love those little jars, will watch for sale. 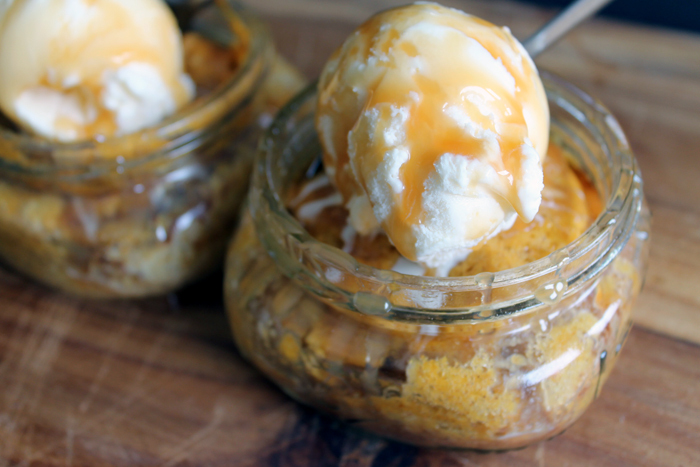 If made at home can reuse jars many times to make this dessert. Going back to see what have missed on other days. Always enjoy your posts and blog.